Another strange moment in my professional life, I will leave Ciber to join The Next View March 1st. Time to have a short retrospective. Alice, Arnaut, Bernard, Dave, Dennis, Frank, Guido, Harrie, Iemke, Igor, Jeroen, Juan-Jose, Laurens, Leo, Marc, Michael, Ravi, Roel, Ronan, Sanket, Steven, Ted, Tim, Wim and Vladimir. You have proven to grow into multi skill SAP NetWeaver professionals. We started as a mainly ABAP skilled team and transformed into a professional SAP NetWeaver team with skills on HANA, Sybase, Syclo, Integration, Java, Portal and SAPUI5. That deserves an applause from my site! On top of that you shared your knowledge with colleagues at spotmeetings with presentations and handson workshops. And you didn’t stick to the Ciber borders, you also played an active role in the SAP community by writing blogs on SCN and hosting sessions at SAP Inside Tracks and joining SAP InnoJam events. I started in September 2009 as Principal Consultant SAP NetWeaver. 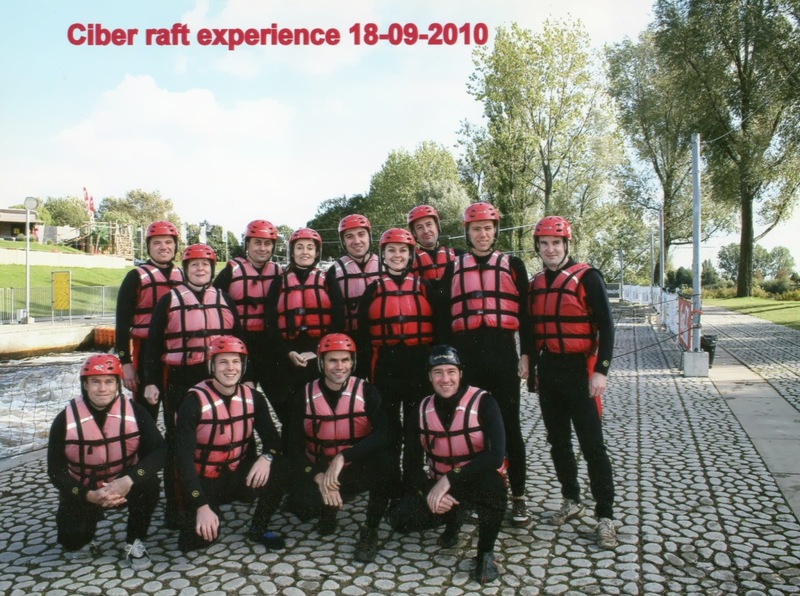 To my surprise I was asked in April 2010 to lead the SAP NetWeaver team as service line manager. To focus more on innovations I changed roles back in September 2012 and became Principal Technology Officer SAP. Thank you Ciber for these opportunities to build our own SAP NetWeaver clubhouse. UCD2, User Centered Design & Delivery by Margreet, Norbert, Bart and Louis. I really appreciated the ability to have room for innovation within Ciber. Our yearly Customer Knowledge Carrousel was a great event to show off these new ideas. And since 2011 we organized an internal innovation competition “So You Think You Can Innovate”, an idea from Mario. Last years episode was called “Ciber Kickstarter” and focused more on social media and ‘crowd funding’ with Likes on LinkedIn. These events delivered a lot of great ideas and were highly valued by our customer jury. Thank you Ciber for hosting the sitNL event for 5 consecutive years. 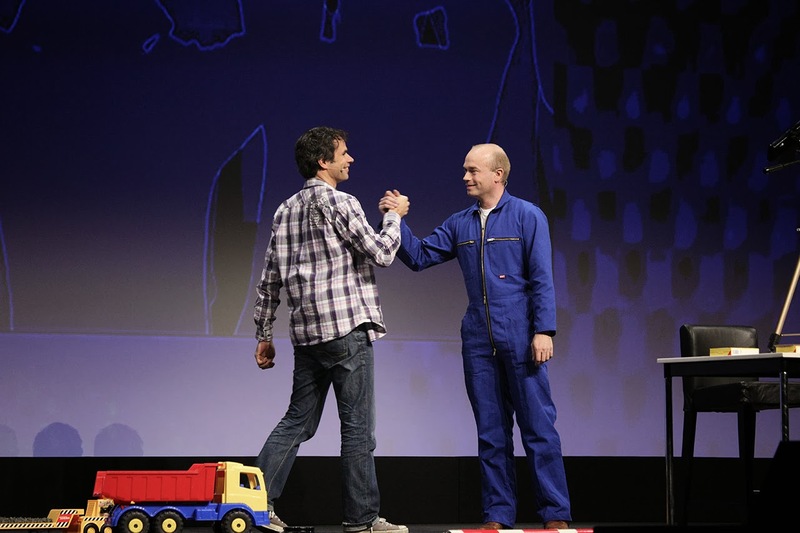 Being on stage with Leo at SAP TechEd 2012 during DemoJam. You all made it a great experience! I really look forward to talk about things happening within the SAP world and bring innovations to customers. To make processes more efficient and to simplify end user’s life. To have a different view within the SAP market and being recognized for it. Thank you The Next View for that opportunity! I wish you all the best in your new company. Seems like there is a correlation between being active in the SAP community and switching jobs recently. Or was it the fairy tale and SAPs Mobile strategies that finally drove you into the new job? I hope to meet you in Berlin or at some Inside Track this year and hear more details about your new role. Still in the middle of my fairytale, hope to write a new episode soon. See you at one of SAP's family reunions. I could wish you luck but I know you will make it so. The Next View is very lucky to have you and I wish you nothing but the best. Luckily I know we will have many opportunities to meet and I am looking forward to that! Thanks Roel, my young padawan. You know I'm sad too. But our road will cross, you can count on that. And when that takes too long, we'll grab a pizza and a coke to exchange ideas (or songs). Farewell my friend, live long and prosper! Until we meet again. Have fun @TNV! We'll sure meet again Sven. We need to define the new Sventors for 2014 :) And besides that there are still some joint interests like #sitNL, Design Thinking and SAP TechEd. I'm very happy for you, Twan: Such a step isn't easy but the opportunity for growth and for feeling the strength you have already built is great. I'll join you in saying thank you to Ciber NL for hosting so many SAP Inside Track NLs. I hope we'll continue to have #sitNL with you in a prominent role, Twan. There's only one thing I resent: You switched jobs without even for a moment considering to join me at operatics. You would have been very welcome. :) But tomorrow is another day. For now, congrats to The Next View, and see you soon. Hmm from all the highlights I listed I missed hosting the sitNL events. Need to add that. I wish you all the best. It was great working with you, you truly inspire people. Sure we'll meet again, happy to! Really enjoyed the 'fight' to see who would be the mayor of Ciber. You won.